Now this is really something - a genuinely useful jack of all trades document conversion tool, the sort of thing that gets my tech heart excited. Or maybe that's just me being very geeky! 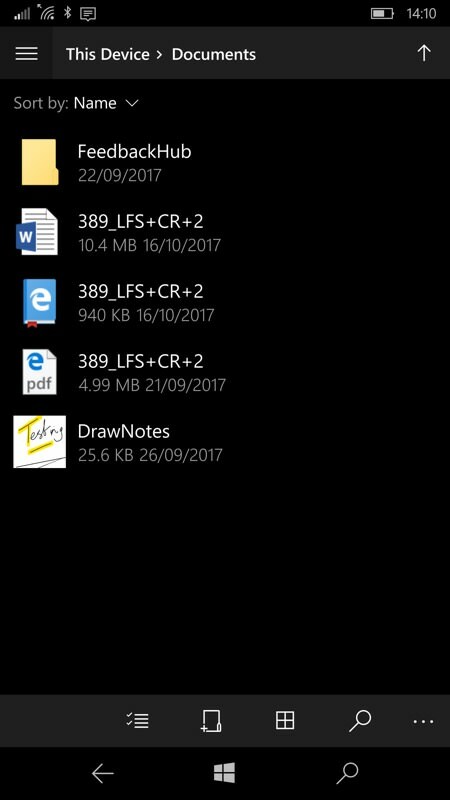 PDF Conversion Tool is a premium UWP app for Windows 10 on all form factors (but which arguably works best on the phone, i.e. W10M) that can convert anything to PDF and PDF to, well, (almost) anything. The format lists should impress you - they did me. And, in my testing, they're absolutely borne out. Want a PDF in JPG image format? Want a saved web page converted to PDF? Want a company PDF protected with a password before sending it off by email? 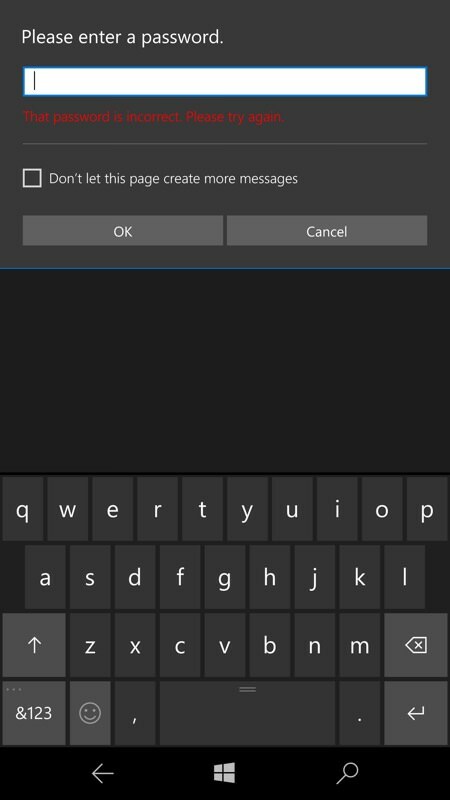 All of this is now trivial on your Windows 10 Mobile phone with this application. The developers, Roxy, specialise in PDF manipulation software and I've been trying to review their PDF Assistant Pro for a while now, but hampered by an odd bug. So that will have to wait. 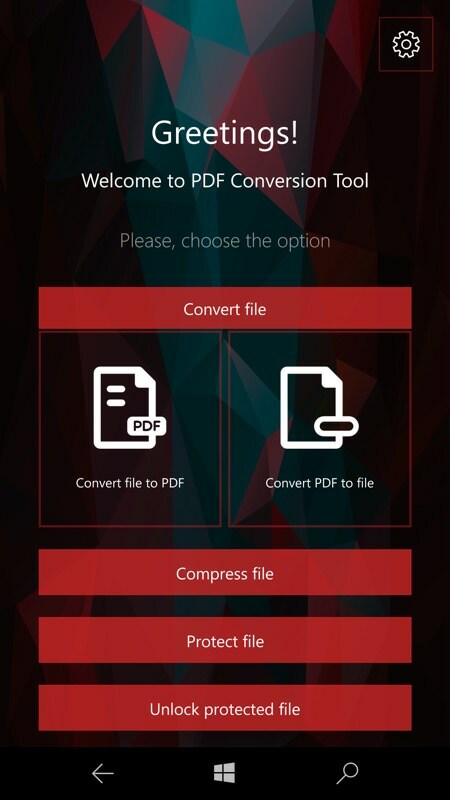 In the meantime, PDF Conversion Tool is top notch, handling both long and short documents and files without issue. Half price for the next couple of weeks? What are you waiting for?(!) (right) the opening choices - the UI is kept super-simple, as it should be for a utility. 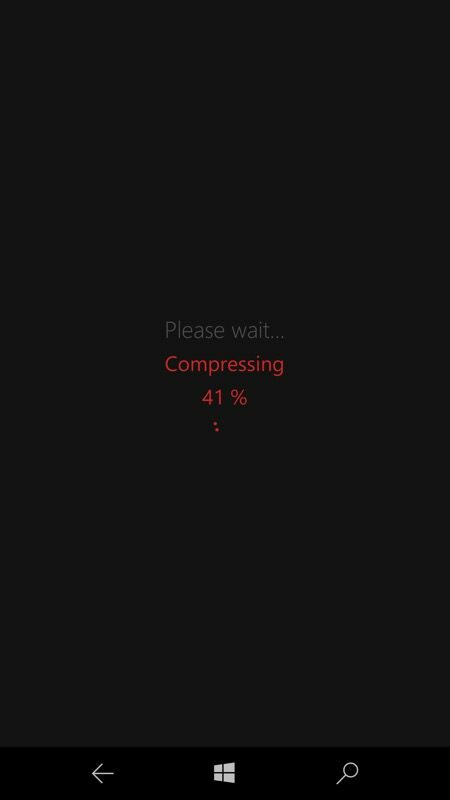 Most of the time you'll be heading into 'Convert file'. Picking the destination file format from the extensive list; (right) pick a file and then conversion starts automatically. 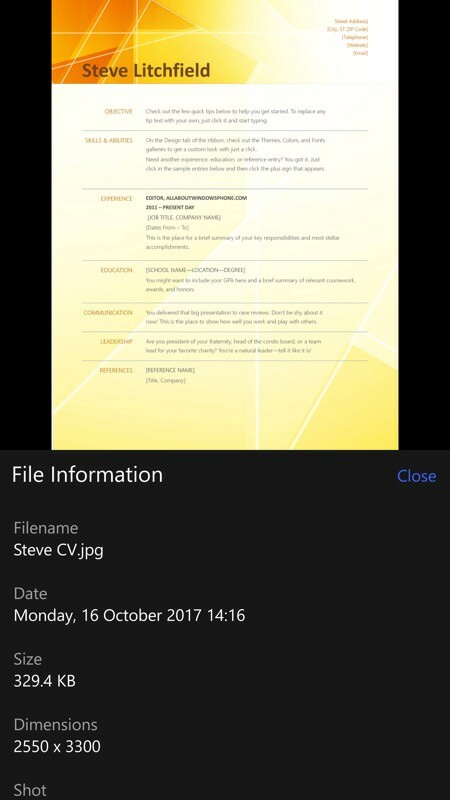 If it's a long document and the lockscreen cuts in then don't worry - processing carries on even with the phone screen off. Unlock the screen and the conversion percentage (or result) are updated. 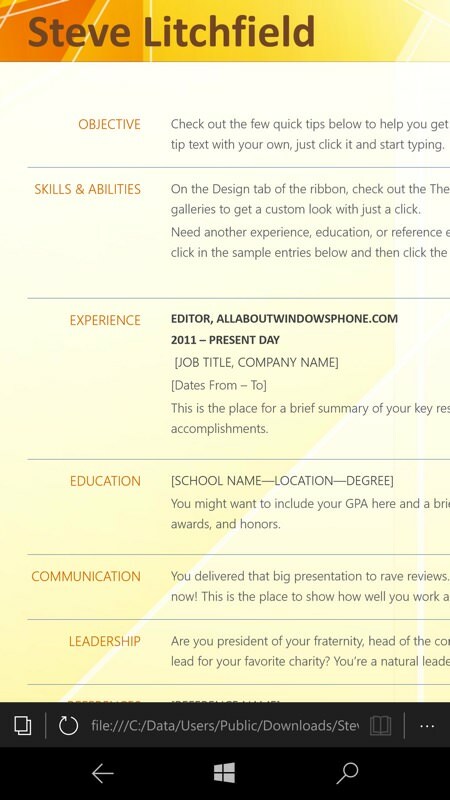 Some of my test conversions then - this is a template CV in Office/Word DOCX format generated by CV Sampler UWP, which PDF Conversion Tool converted to PDF and is (right) shown here in Windows 10's default PDF viewing mechanism, the Edge browser. You can tell I was having fun with PDF Conversion Tool - in this one folder alone I have a Word, ePUB and PDF version of the same long ebook! (right) PDF Conversion Tool can also compress PDFs, though in many cases they will have already been compressed by the tool that made them, so don't expect miracles here. It's also easy to repack PDF files with a password - when they're received by someone else (e.g. 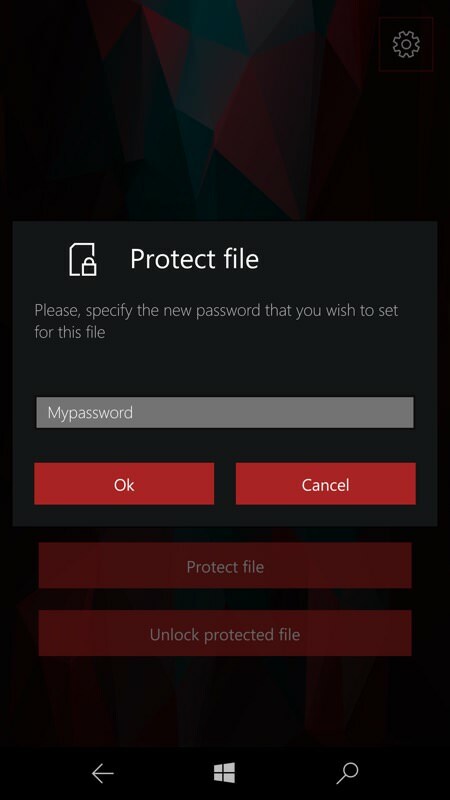 here in Edge) they're asked for a password before being allowed to read the document. 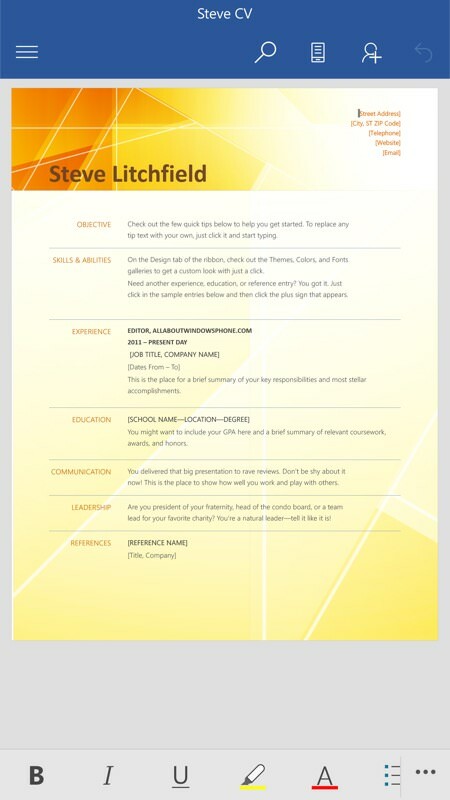 That CV example earlier converted from Word to PDF to a JPG image! It just... works. 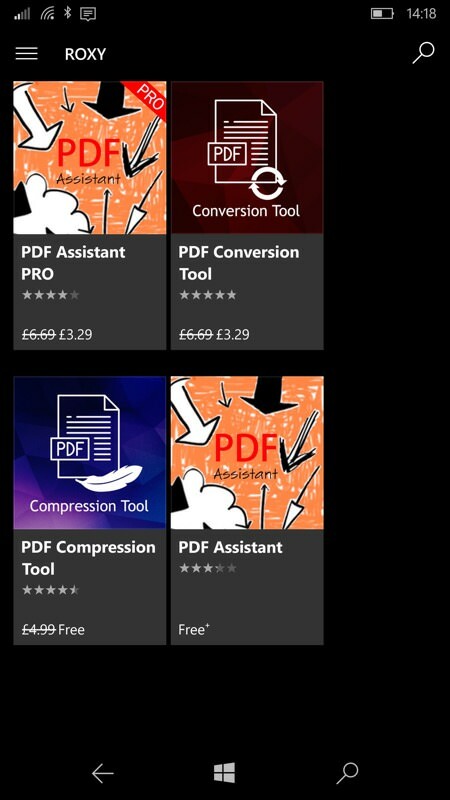 (right) PDF Assistant Pro is also on sale at the moment. Worth grabbing as well and a review of this will come in due course when my issues with it have been resolved. 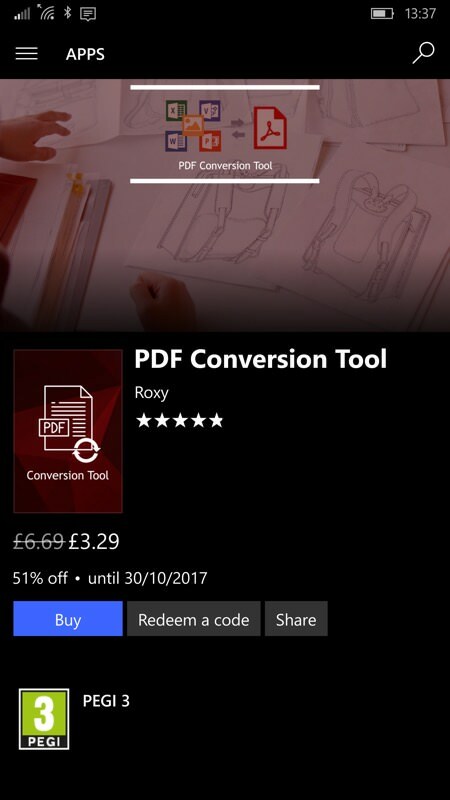 It's absolutely true that PDF Conversion Tool is commercial software (- normally £6.70 in the UK Microsoft Store, but half price until the end of October). I like paying for applications though - it means that the developers get paid. And that means they carry on developing/fixing into the future, rather than giving up through lack of interest, as has happened to some freeware titles.